The day of birthdays had arrived. The entire Blank family was aging up. Bo & Heaven were aging up to Adult, Gem & Asa were aging up to Young Adult, and Sky was aging up to Child. 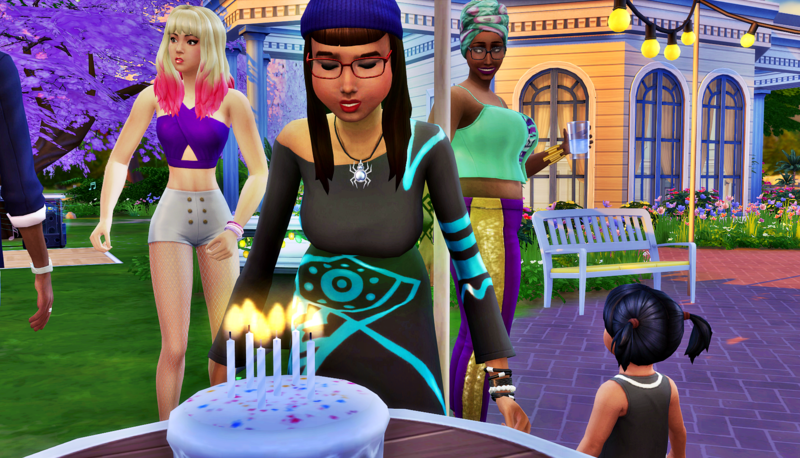 Bo still had not attended a real Sim birthday party, but he did not worry about that anymore because pretty much everyone who would get an invitation knew he was an alien. Bo thought about who he might want to invite to this birthday party. 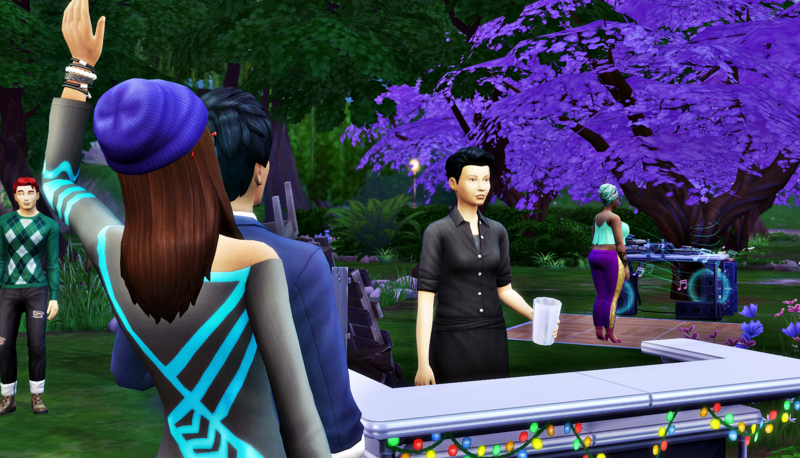 By the time he added up family, friends, and the friends/family of those people, he was thinking of over 75 Sims. Life was so different from on Sixam. Back then, he would not be able to come up with 75 guests for a party if his life depended on it. Bo decided to invite everyone, and just wait and see who all showed up. What was the worst that could happen? 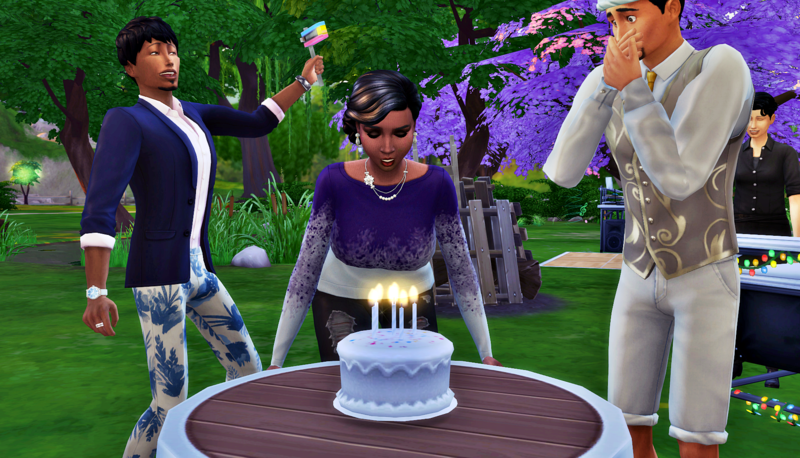 Bo, Asa, Gem, and Sky arrived to the park with a cake in tow. Soon enough, the guests began to arrive. Way more people than Bo expected showed up for the part. But they all could not stay, some just came by to give birthday wishes then headed off to work or home for dinner. 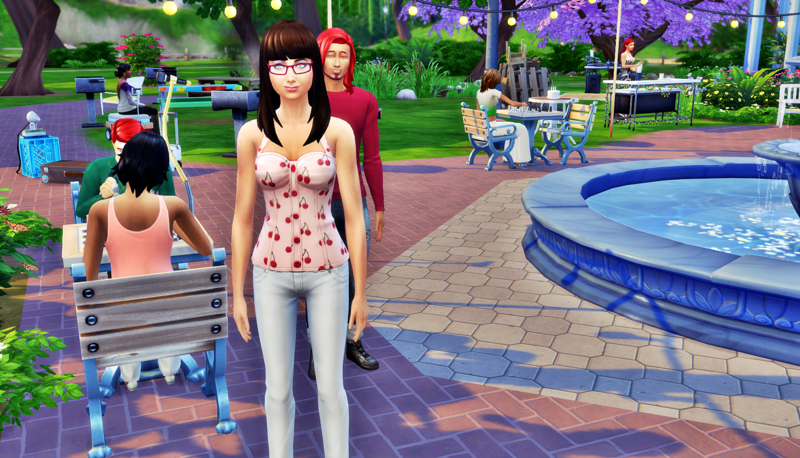 But those who stayed seemed to really enjoy all the new amenities the park in Willow Creek had to offer. Finally, it was time to blow out the birthday candles. 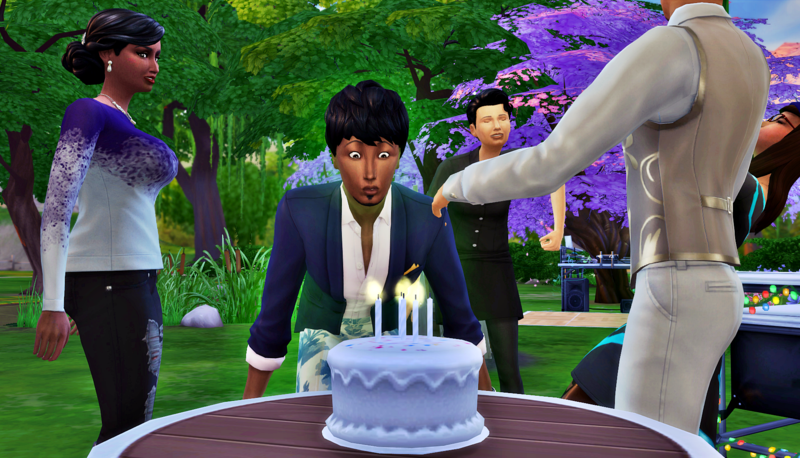 Bo wisely chose to relight the candle on one cake rather than to make five separate cakes. He now questioned that wisdom because they surely would not have enough cake for all of the guests. Having five cakes might actually have made more sense. But it was too late to change that now. Bo was the first to blow out his candles. 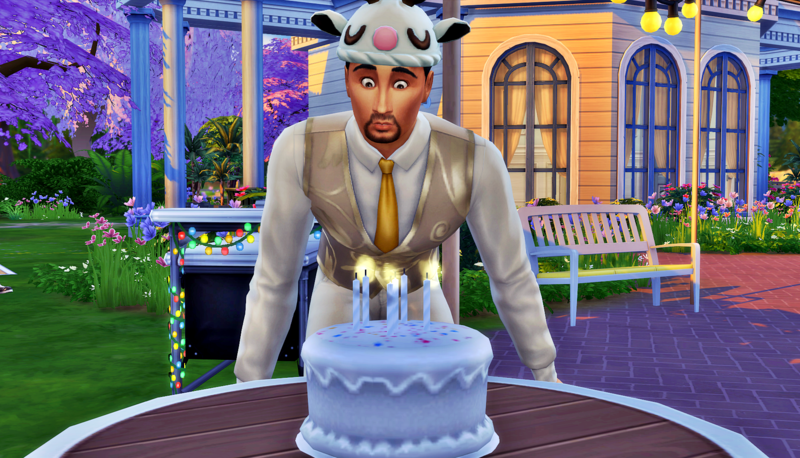 He did not know about the Sim tradition of making a wish before blowing out the flames. If he knew, he might have wished for his family to reunite. Up next was Heaven. Asa was excited because that meant his turn was next. Bo felt overwhelmed with emotion. 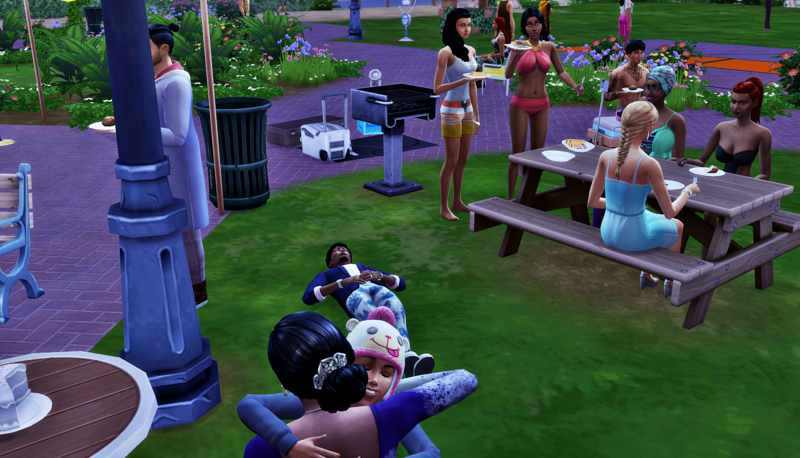 Although they were celebrating as a family, it was not the same. 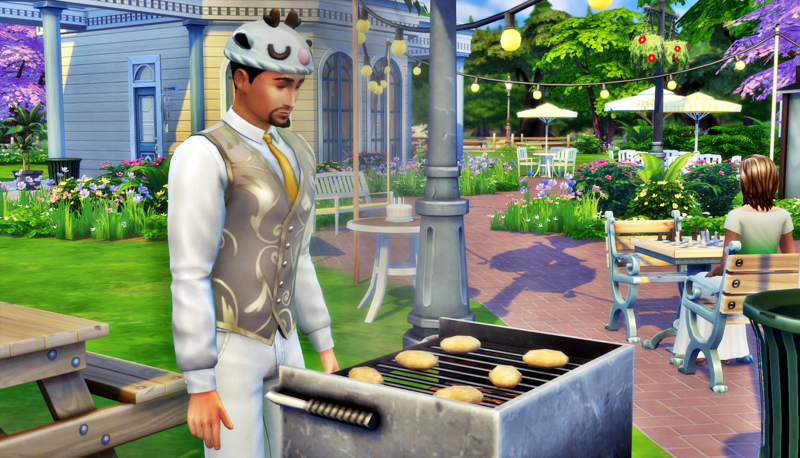 In that moment, he felt that his family would never all live under the same roof again. Smack in the middle of birthday celebrations was not the best time to consider it, but Bo felt he needed to try and move on if he could. Asa stepped up the cake next. 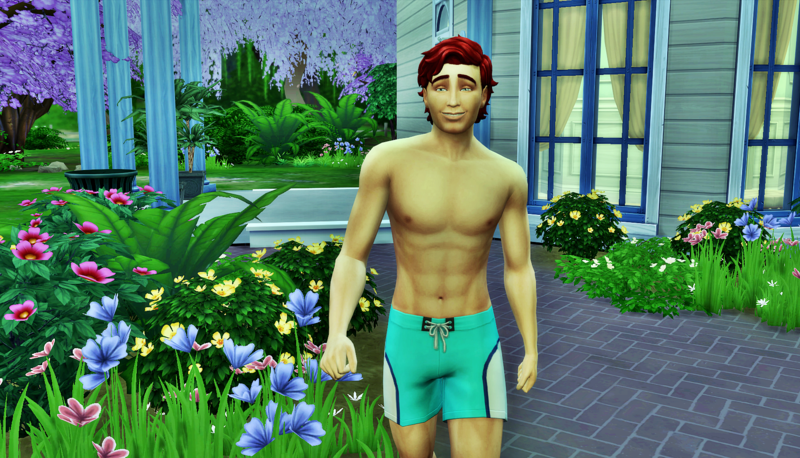 He knew all about Sim wishes, and all he wished for was an escape from the house in Newcrest. He had a plan that he hadn’t shared with his family, he just hoped Olivia would agree. Then it was Gem’s turn. All she wanted was a happy family. It hurt her to see so many of her family members feeling discontent. But now that she was aging up, she would have even more ways to help fix things. First thing tomorrow morning, she was getting a real job. Their house would work so much better with two working adults in it. She could only hope that Asa would get on board and get a real job too. “I know there is still one more child that must grow up, but I think it is safe to say we did good with these first two.” Heaven smiled at Bo, looking for him to agree with her statement. Bo wanted to argue about her choice of the word we, but he knew what she meant. Choosing to emigrate from Sixam was not an easy choice. Also, their two oldest offspring were teenagers before Heaven left, so most of the raising was already done. Because it was birthday day, Bo responded graciously and non-verbally. Asa pretended he couldn’t hear or see any of it. Heaven heard Sky announce that she wanted her mother to help her blow out her birthday candles. She was about to head over to help when she saw Sky reaching for Gem to pick her up. Heaven’s heart broke a little in that moment, but she quickly realized that she could not be upset that her youngest did not see her as a parent. 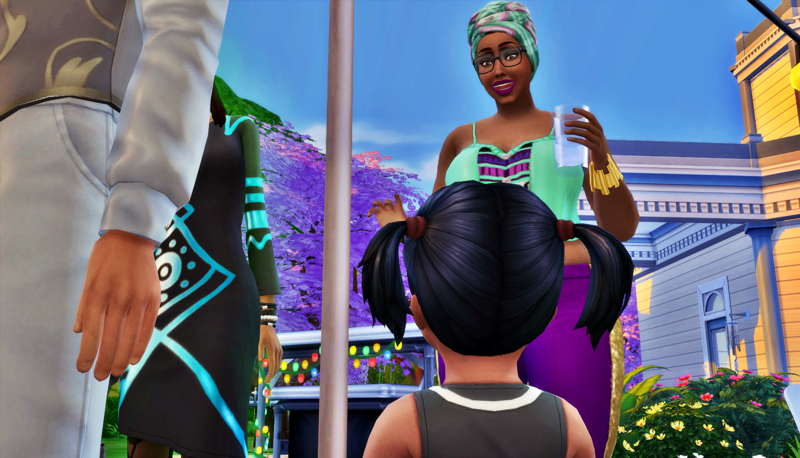 She had been MIA for most of the little Sim’s life. Apparently, Gem had stepped up in a big way and filled the space Heaven left behind. It was as if Heaven’s family moved on without her. She was embarrassed for all their friends and co-workers to hear her child call another woman mother, but there was nothing to be done about it now. Heaven wasn’t sure how to fix it or even sure if she wanted to. Maybe it was better this way? The rest of the party went well. Everyone was talking and laughing and eating as the sun set. Asa and Gem made their way over to the bar. It was Gem’s first time having a real juice drink. 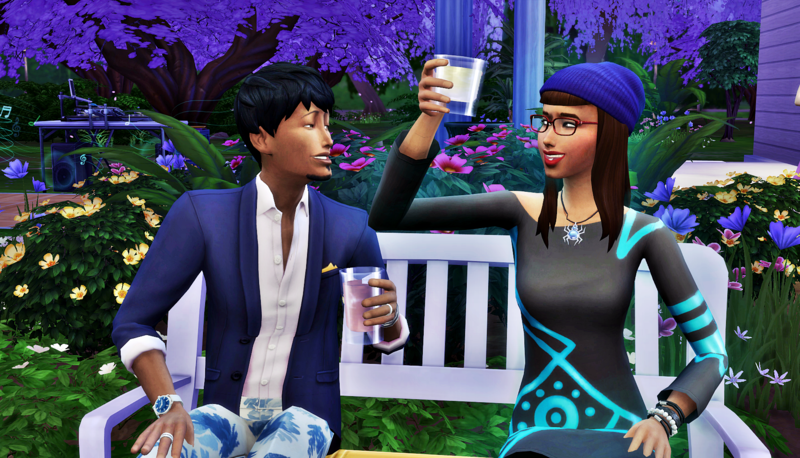 It was Asa’s first time having a drink–in public. The party finally came to a close. Asa said he was headed out to meet Olivia. Bo stayed behind to clean up while Gem took Sky home to finish her homework before school in the morning. As Bo finished the cleanup, he received a text from Laurel. Luckily, I haven’t reached disaster status yet, lol. But I have big plans for the next round, and that mainly includes minimizing which characters get big focus in the story/plot. Maybe now, Heaven will try to interact with her Family more? Like, a wake up call? Or maybe she will Just accept that things are now this way, and will refuse to try to interact with her Family…Her and Bo’s situation is só complicated, is like they are divorced, but not really. She tries to interact with her family, but she never follows through. I’ll tell you something that happened that didn’t make it’s way into the story. Heaven called up Sky after she aged up to child. She invited her out to hang in a park. 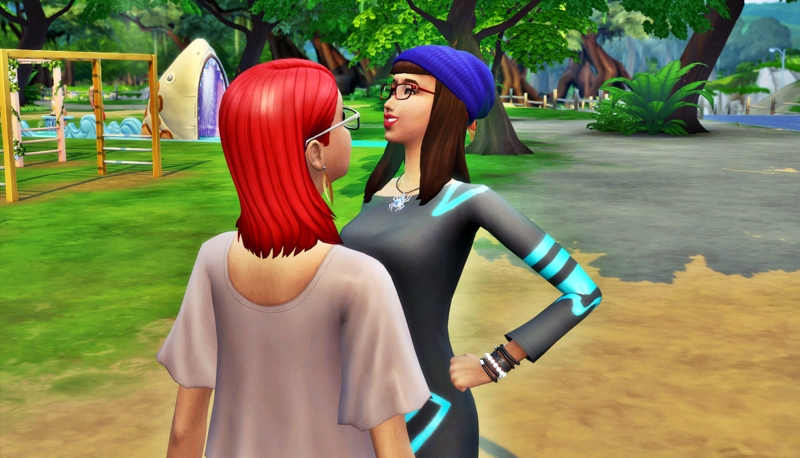 She picked the national park, you know the one in Granite Falls? Well, I happily sent Sky there. I was thinking how great it was that Heaven was finally showing some interest in her youngest child. But guess what? 5 Sim minutes after Sky gets there, Heaven leaves. She doesn’t even say goodbye, she just walked away. 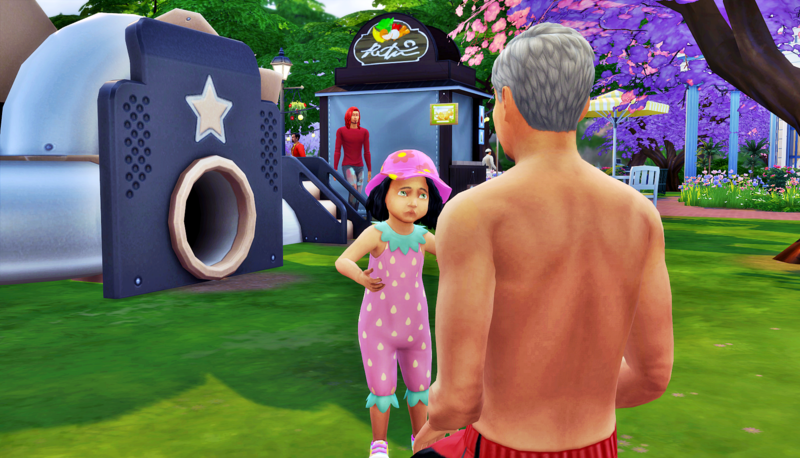 She literally left her 6 year old alone in a forest in Granite Falls. She is the half-assed parent of the year, lol. Heaven and Bo’s separation is definitely one of the unexpected plotlines in my story. I wonder if they’ll stay separated forever, or if they’ll get back together, or eventually divorce. They’re officially middle aged now, they’re not getting any younger. I look forward to seeing which way this will go. 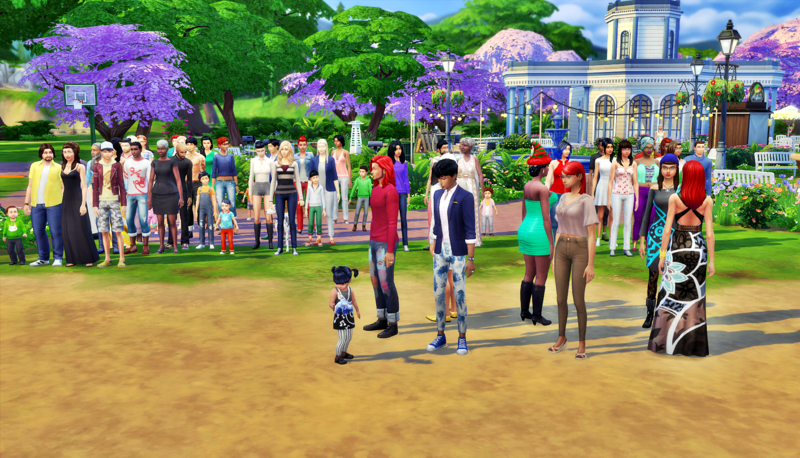 So many Sims, right? Pretty much everyone who was at that party has been mentioned by name at some point in these 139 chapters. This blog is in serious need of a Jes2G-style play by play. Let’s go! He had a plan that he hadn’t shared with his family, he just hoped Olivia would agree. He better not be planning to propose. He don’t know the first thing about sim love lol. WE? Who is we? Girl, bye! Bo wanted to argue about her choice of the word we, but he knew what she meant. HA!! I’m glad we’re on the same page, Bo. HA!!! See there. That face though! She was embarrassed for all their friends and co-workers to hear her child call another woman mother, but there was nothing to be done about it now. I couldn’t see Sky very well. I bet she’s super cute. I know we’ll see her soon. 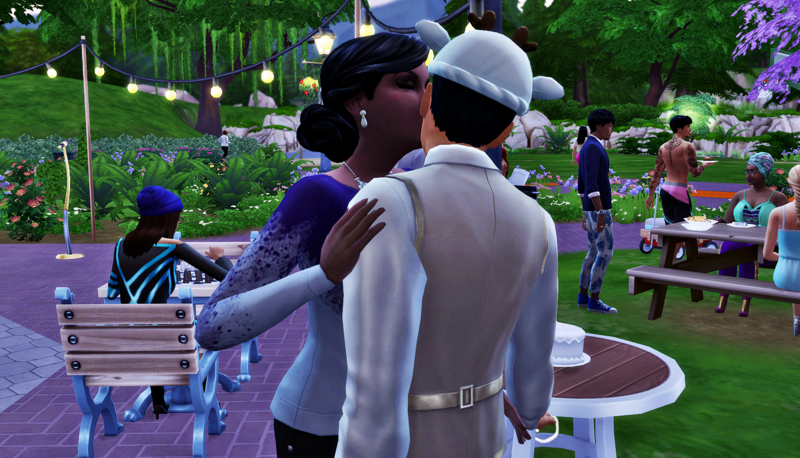 So I’ve finally got time to sit down and do this chapter for Quincy & Daniella’s wedding. I was just going throw old chapters to make sure I knew where everyone’s story was. I never saw this comment before, but reading it now made me laugh so hard. I love this play by play. And yes, I’m glad you caught that Heaven kept putting her hands on Bo. Those two drive me crazy, and not in a good way, haha. Congratulations ! 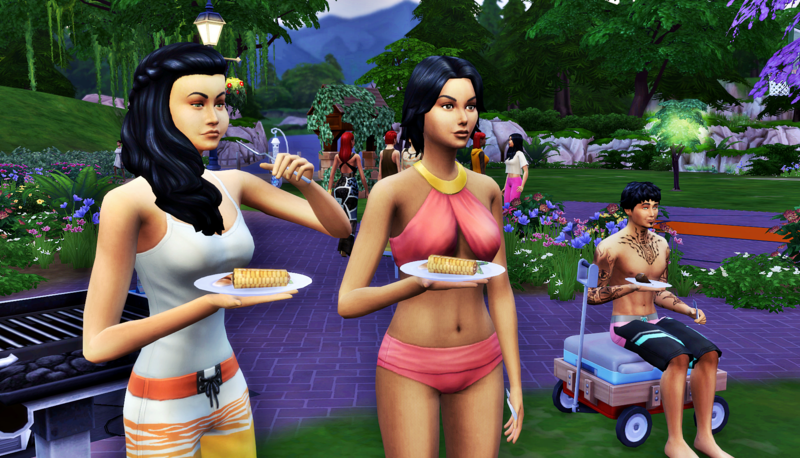 It was so fun to spot the Sims in the screenshots ! Bo is so popular ! Being a member of the Counsel Council really opened up his door to the world. But also he was always so friendly, running out the house to meet passersby. Also, his kids are pretty social. Baby Branham’s teen sister is one of Gem’s best friends. And Liz’s teen brother is one of Asa’s best friends. 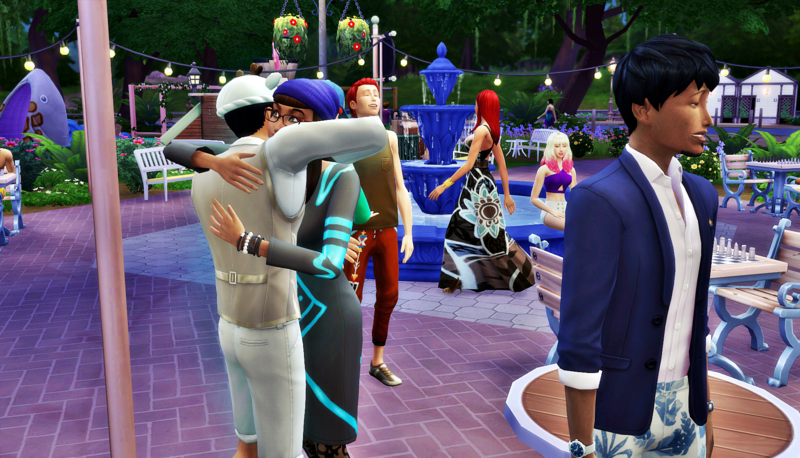 I really love how the game develops these social relationships. It’s not something I noticed until I played on a rotation. 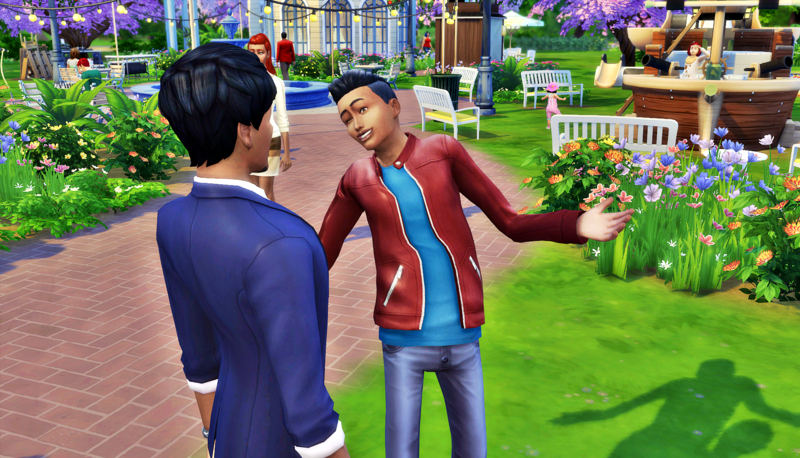 When I’m not in charge of a household, but they show up anyway, they make these connections with other Sims that end up deepening the game play and story in unexpected ways. One of Bo’s traits is Loner. He’s the most unique Loner I’ve ever played with. 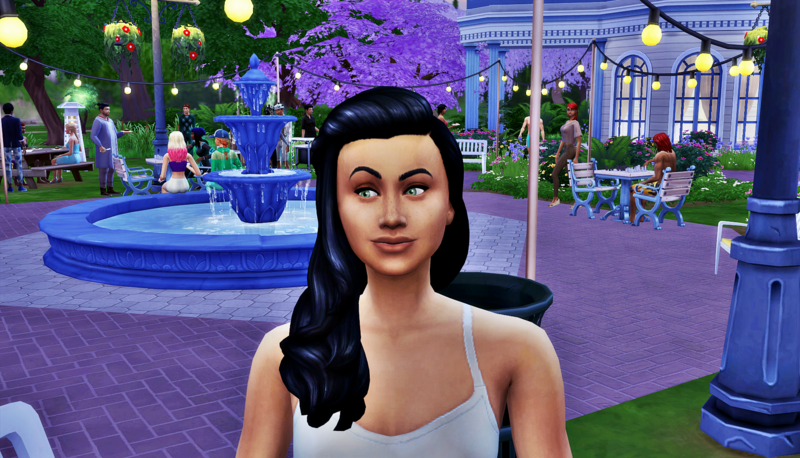 It’s kinda like Sims who have the Unflirty trait. You know how they can end up having these amazing love story for the ages? 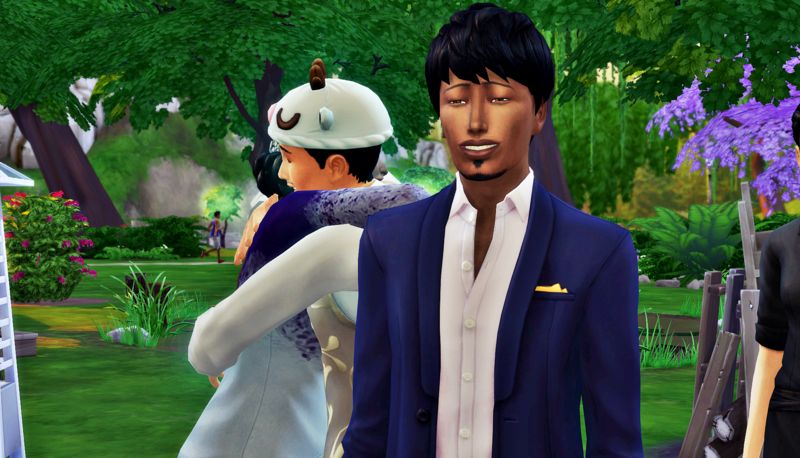 Bo gets stranger danger anxiety like any Loner, but it’s usually outweighed by his joy at being around Sims he knows and loves. That proximity and comfort granted to him by existing deep connections foster these new connections. It’s like, he connects deeply or not at all. That’s amazing that Bo is a loner ! Bo, go party! 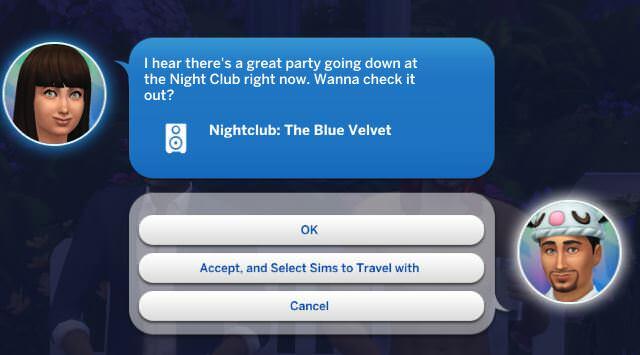 Well, after party? Lol he’s earned it after the emotional ups and downs of the day!